Southgate is a very busy church with many activities covering various age ranges and interests. All our church groups are delighted to welcome new members and the people listed as contacts will be very pleased to give further information about their group's activities. 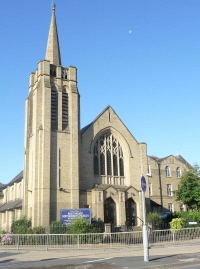 The Church is situated in Elland, West Yorkshire and is part of the Calderdale Methodist Circuit, which in turn is part of the Yorkshire West Methodist District. 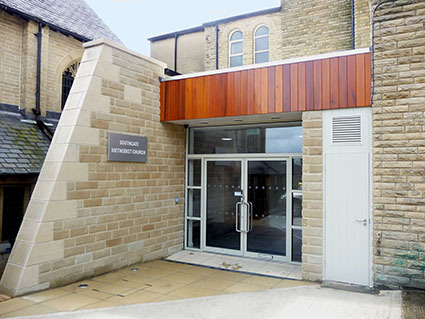 It is also part of Churches Together in Elland and District. The church is available for Weddings and Baptisms (Christenings). For more information contact our Minister. Founded in the 18th Century by John and Charles Wesley, The Methodist Church is a mainstream Protestant Church with emphasis on the religion of personal experience with a strong social outreach. Southgate Christian Centre is adjacent to the church building. In 2008 it was refurbished internally to provide a modern suite of premises. The refurbishment was completed in 2012 when a new entrance was constructed. It is used not only by our own Fellowship Groups and Youth Organisations but by many local organisations, and hosts Social Events. The buildings are fully accessible to the disabled, and rooms are available for hire as a venue for meetings, conferences, exhibitions, parties etc.